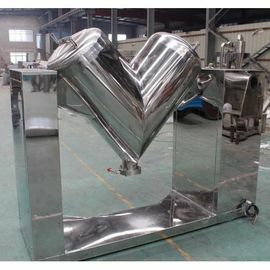 The mixer is used for mixing the dry material grains in the medical, chemical, food, metallurgical and other industries.The mixing barrel structure is unique. The mixing efficiency is high. There is no corner that can not be reached. 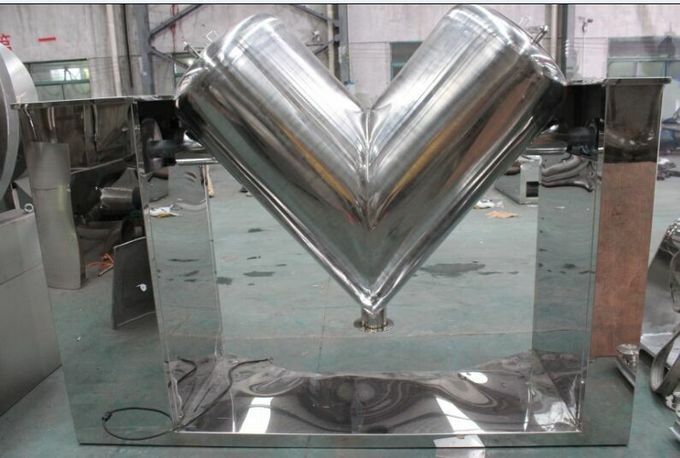 The barrel uses the stainless steel and its internal and external walls are polished. The outside appearance is beautiful. The mixing is uniform, with wide application. The mixer meets GMP standard. 1. 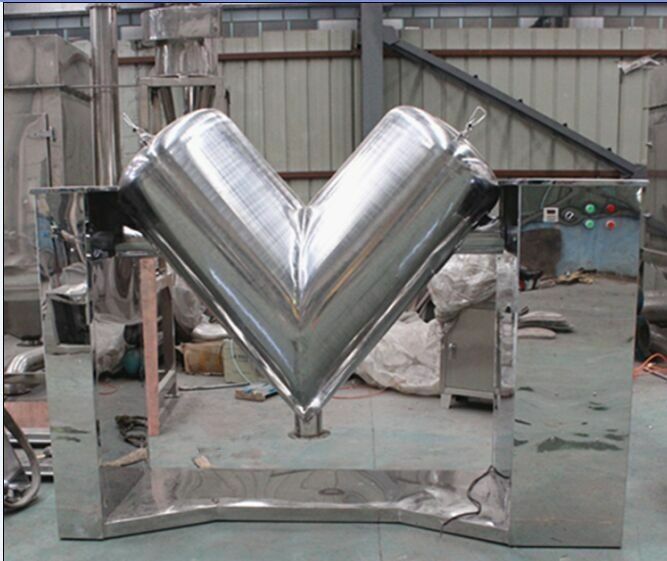 Mirror polished of inner and outer shell to meet GMP standard. 2. No blind angle in the V-shells, no accumulation of materials, high speed I-bar, efficient and short mixing time. 6. Can work with vacuum feeding system to create dust-free working condition. 7. The structure of this machine is unique. Its mixing efficiency is high and no dead corner. It is made of stainless steel. Its inner and outer wall is processed through polishing. Its appearance is beauty. Its mixing is uniform. Its scope of application is wide. 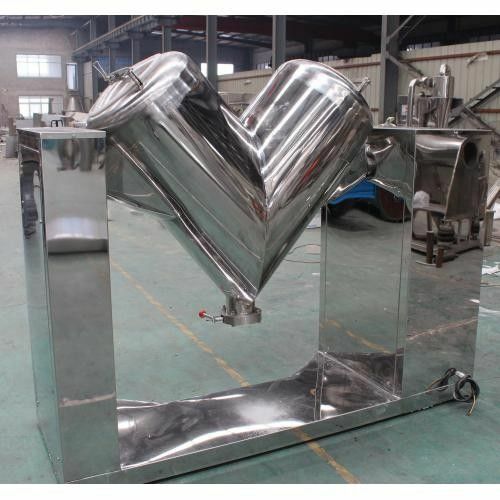 The forced stirrer can also be equipped in order to meet the requirements of raw materials that contain fine powder, cake and certain moisture as request.